The Himalayan country Nepal is popular for trekking and mountaineering. However, the extension of road, airstrips and the availability of comfortable accommodation have made it possible to explore even the hidden Himalayan valleys with less effort. Nepal tour is combination of activities for Himalayan scenery, cultural immersion and the wildlife safari. Drive or fly to different Himalayan Shangri La and spend plenty of time sightseeing and hiking with rejuvenating resorts to come back to. 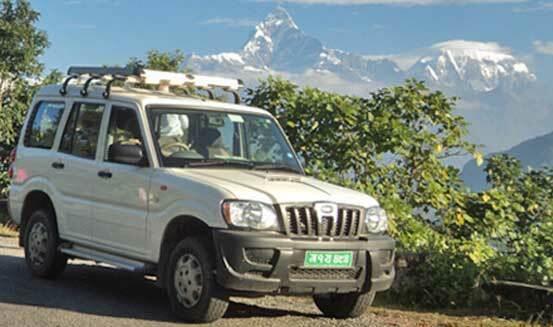 Listed 5 tour packages have been the most popular among the tourists visiting Nepal. 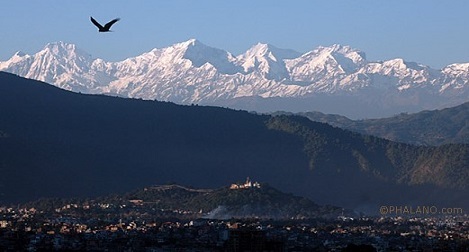 Kathmandu and Pokhara together represents the best of nature and cultural tour of Nepal. 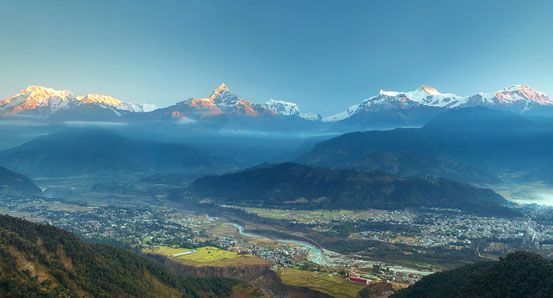 While Kathmandu is one of the ancient city in the Himalayan corridor, Pokhara is the natural paramount. This short tour gives the glimpse of historical, cultural and natural aspect of the country. There is ample Himalayan view sightseeing, heritage tour and cultural encounters. Options of Everest sightseeing flight or Helicopter trip guarantees the best view of Mt Everest and other ranges. The tour visits the three most popular destinations in Nepal – Kathmandu, Chitwan and Pokhara. The layers of mountains have also created diverse eco system. Chitwan national park is the place to observe the country’s rich wildlife and nature safari. The diverse destinations within the distance of 160 km makes this tour the golden triangle of Nepal. The tour gives good perception of the country’s nature, culture and wildlife. While Kathmandu, Pokhara and Chitwan are thronged with tourists, several other medieval towns and hill stations started to host tourists in last decade. Forgotten by time, these towns were once either ethnic capital or popular hub along the Himalayan salt trading route. All Nepal tour visits the popular tourist destination of Nepal stopping overnight in these pristine and scenic hill towns. Unique and less touristic activities like homestay,village tour, farm tour, school visit, honey hunting make the tour more interesting. One reason people travel to Nepal is to see Mt Everest. With the Everest national park, there are total 4 UNESCO Heritage sites. Nepal Heritage tour visits all of the four UNESCO Heritage sites of Nepal in 14 days. 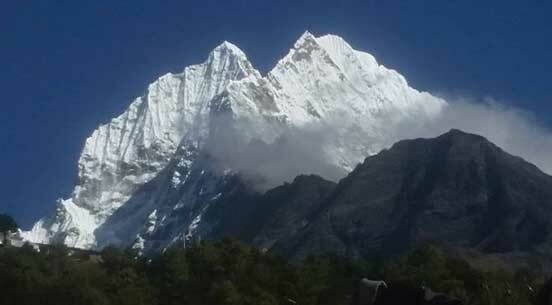 Everest national park visit involves short cultural trek of 5 – 8 days. Availability of pony, helicopter and luxury accommodation make the trek a pleasant walk. Kathmandu, Lumbini - the birthplace of Buddha and Chitwan national park are the other UNESCO Heritage sites in Nepal. With over 60 archaeological findings, Lumbini and its surrounding have been rediscovered as the reminiscence of civilization dating back to 3,000 years. The birthplace of Buddha has been developed under a master plan to make it a refugee for all peace lovers. Similarly, the tour also visits Chitwan national park which has been a vestige of the jungle that once spread from Himalayan foothills till the Ganges River in India. The park has been successfully preserving the last numbers of Royal Bengal Tigers and Asian Single horned Rhinos. Nepal tour with short trek and rafting with luxury lodges. The tour is also a Nepal sampler tour with short and scenic luxury trek, gentle white water rafting and the wildlife safari staying in luxury resorts. Short and scenic trek in Annapurna will be customized to fit your fitness. White water rafting in Seti river allows you to enjoy pristine jungle and beach in the wild. With rapids of 2 + the river is just perfect for beginners and family with kids. Drift down the glacial river and drive to the most tranquil side of Chitwan national park. Wake up to the bird calls, be part of the nature and sleep watching the stars.